PAY ATTENTION!!! You are using an outdated browser, please update to the latest version to correctly display the contents of this website. Lots of news at #BlulinkDay 2016! Download the detailed program of the event and you will see who are all of our experts that will accompany us during the day and the customers that will speak. We’d like to remind you that the participation is free, but you must register yourself before wednesday 4th of may. We want to thank since now Comer Industries, Ciesse and Ingranaggi Moreali that offered their availability to share their experiences. 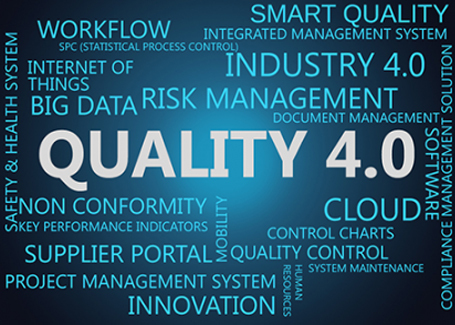 Don’t miss the date “Quality 4.0”! Thank you in advance to some of the protagonists of #BlulinkDay 2016 ! Production of interior furnishings for the railway sector. Design and manufacture of solutions of mechatronics for the transmission of power . Production of gears, milled , shaved , ground, tapered , straight and spiral. registrations can only be made by calling this number: 0522-511416 . #BlulinkDay 2016 – look at the report! Why participate at Blulink Quality Live 2019? From 29 years Blulink is a software house that develops a Quality Management System – QMS, our solutions support companies in their path to growth, make processes efficiency and reduce costs. “Quality-Task-Healthcare”, “Human Resource Management”, “Project Management”, “Maintenance”, “Business Performance Management”, are some of the areas that Blulink manage in several years of experience and projects in hundreds of company and other organizations. Our solutions meets the requirements of small companies as well as big industrial groups, in every area of business. Si informa che questo sito utilizza cookie, anche di terze parti, al fine di inviare servizi e messaggi pubblicitari in linea con le preferenze manifestate durante la navigazione. Se si desidera saperne di piÃ¹ leggere l'informativa. Se si vuole negare il consenso a tutti o ad alcuni cookie cliccare qui. Chiudendo questo banner o scorrendo questa pagina o cliccando qualunque suo elemento si acconsente all'utilizzo dei cookie.